Is There A Return To Religion? 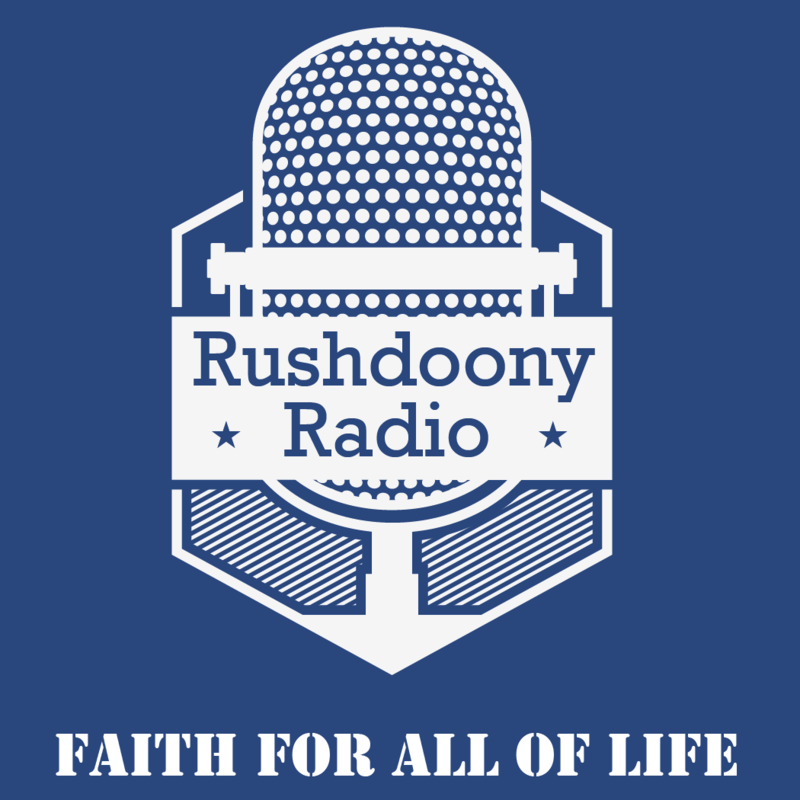 R.J. Rushdoony: 00:01 Is there a return to religion? This is R.J. Brushwood with a report on our threatened freedom. In the past year, many magazines and commentators have written about a return to religion. Is this true? Is there evidence of a change in the United States? First of all, we have had in the past half century more than one return to religion, which meant a little or nothing. A return to faith involves more than joining a church or buying more religious books. R.J. Rushdoony: 00:33 Second, a return to religion can be a product of social stress rather than a believing heart. I can recall in the 1940s hearing a returning soldier say that under fire in a foxhole, he prayed. When he came back, he headed for a bar and a prostitute, and he laughed about his foxhole religion. Because of the economic problems today, more than a few people are ready to act religious who with prosperity tomorrow will forget the faith. R.J. Rushdoony: 01:06 On the other hand, some of the statistics are quite interesting. The Evangelical churches have gained members in the years from 1972 to 1982, and the modernistic churches have lost them. During those years, the Southern Baptists gained by 20%, the Assemblies of God were up 62%, and the seventh day Adventists, 36%. The United Methodist Church lost 10%, the Episcopal Church 15%, and the United Presbyterian Church went down 21%. In other words, the stronger the faith, the stronger the growth. Clearly, there is a return to and a growth of a more Biblical and Evangelical faith. This means that it is more than a church growth because many churches lost, but it represents instead a faith growth. Even this, however, is not enough to ensure a lasting return to faith. Together with a faith growth, there is also an obedience growth. R.J. Rushdoony: 02:14 One telling evidence of this is the great increase every year in the growth of Christian schools. This indicates that parents take seriously their responsibilities under God. Another indication is the growth of various agencies to deal with problems of delinquency, drugs, family stress, and more from a Biblical perspective. Another evidence is the development of agencies to minister to poverty, unemployment, and crime from a Christian viewpoint. We can also add that major groups have been formed to call attention to the problems on the political scene in the realm of economics and more. R.J. Rushdoony: 02:58 All this is promising. A valid and enduring return to the faith means that all of life is viewed in biblical terms and in terms of a mandate from God. Such a renewal, if it continues, offers hope of a new birth of freedom and self-government. This has been R.J. Brushwood with a report on our threatened freedom.